This year marks the 65th anniversary of the publication of Raymond Queneau’s thought-provoking and I would argue, feeling-invoking, work, Exercices de Style. Presenting the same very basic story in 99 different ways, Queneau’s work is quite breathtaking, as much so to me now as when I first encountered the work as an undergraduate. This is all that happens: A person witnesses a young man with a small head and long neck wearing a hat grumble as he is jostled by other passengers on a very full bus. The young man quickly takes a seat when it becomes available. Later, from the window of another bus, the person sees the same young man listening to an acquaintance who is recommending that he add a button to his raincoat. That’s it – but, my, my, the range of thoughts, and associations, and emotions one can have reading the different versions. I laughed out loud when reading the “Interjections” version, wondered at the connections between the world and equations that can describe it when reading “Geometric”, and felt the uncertainty that one might feel toward things one thought one was certain about when reading “Hesitation”. 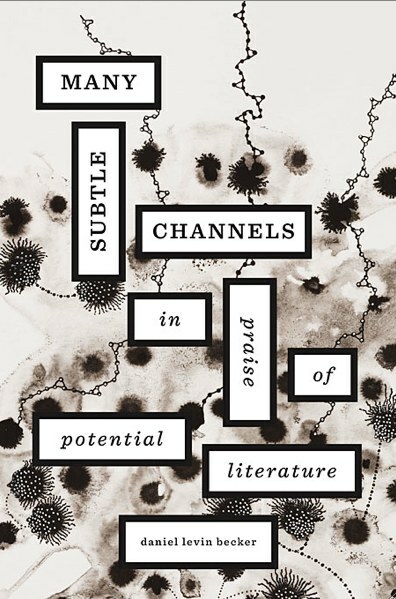 The new book, Many Subtle Channels: In Praise of Potential Literature (2012), by Daniel Levin Becker examines the birth and development of a group of mostly writers and mathematicians who have taken it upon themselves to create and explore such linguistic feats and myriad more through the laboratory of textual experimentation known as the Ouvroir de Littérature Potentielle, or “Workshop for Potential Literature,” later known as Oulipo (oo-lee-poh). The book is largely a history of the group from its origin, at a colloquium in 1960 dedicated to Queneau, to the present. There have only ever been 38 people “co-opted” into the group, and only a dozen currently active – that is, presenting readings to the public, attending meetings, or conducting workshops for others interested in what happens when combinatorial mathematics meets fiction- and poetry-writing. Levin Becker, himself one of the newest members of the Oulipo, gives this history a detailed treatment, including situating a great number of the members’ published fiction and poetry both within and without the Oulipo literary environment. 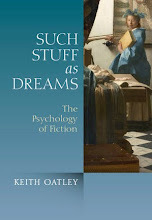 The goal of Oulipo has from the beginning been to counter the model of the production of literature as “ecstatic intuition” (p. 80), and to offer instead the model of the writer’s absolute adherence to whatever preconceived constraint or procedure she or he has decided to allow to structure the work in process. For anyone who has participated in the NaNoWriMo (National Novel Writing Month) project, you have had a little taste of what such strict adherence to such a constraint can have on fiction-writing. We get the clearest idea of the enormous variety of Oulipian constraints in the first third of Levin Becker’s book in which he describes the week he spent at an Oulipian “constrained-writing immersion course” (p. 92) in Bourges, France. Variations such as Queneau’s exercises would seem like a comfortably spacious constraint compared to some the author became aware of and, in some cases, was required to produce for the course: Writing a dialogue in film titles; “monovocalism,” a text allowing only one type of vowel to be used; “lipograms” in which one letter of the alphabet is methodically not included in the work; “métro poem”, in which a line of poetry must be thought up between two stops on the subway, but can only be written during the stop itself, and one line for each stop on one’s trip must be in evidence by the end of the trip; the “perverb” (p. 94) which amalgamates the beginning of one proverb to the end of another; “tautograms” in which all words begin with the same letter; “pangrams” containing all letters in the alphabet; the “apéro”, in which no word may be included that does not alternate a vowel with a consonant in one-to-one ratio; the "S + 7" "where each noun is replaced by the seventh noun following it in a given dictionary" (p. 54); as well as many others, too complicated to explain here, such as the “morale élémentaire” (p. 58), the “prisoner’s constraint” (p. 96), and the “beau présent” (p. 4). Levin Becker treats a number of questions that arise from such linguistic pursuits, such as: Should Oulipian authors feel themselves obliged to reveal the undergirding constraints that gave birth to a particular work? ; Should Oulipians be taken to task for their quite consistent political disengagement? 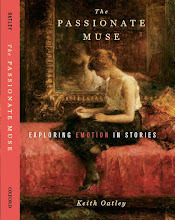 ; and What is the relationship between “creative writing” and “creative reading” (p. 300)? I found this book an engaging read, and a quite rich contextualization for all of the feelings I had experienced in reading Queneau’s Exercices de Style years ago and more recently. A contextualization, yes, but an explanation, no. 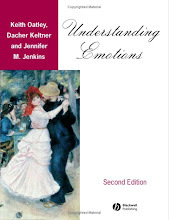 The one question that never gets asked here is “Do the constraints under which the writer worked influence the quantity or quality of emotions the reader experiences while reading the finished product?” Levin Becker’s lack of discussion of feeling in the context of the Oulipian project is quite a gaping hole, it seems to me. 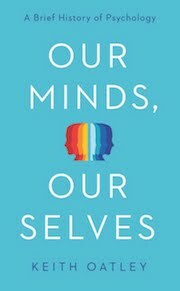 It can be fun to follow a novel through suspenseful twists and turns and through tenuously connected associations, admiring the rich linguistic maneuvers, but in the end, might the Oulipians, not too concerned it seems with what the reader might be feeling, have worked themselves out of a job? Daniel Levin Becker (2012). Many Subtle Channels: In Praise of Potential Literature. Cambridge, MA. Harvard University Press. Raymond Queneau (1947). Exercices de style. Paris: Editions Gallimard. Interesting point about affect, though I think Levin Becker at least models and in places openly refers feelings of delight at strangeness. It is a topic worth pursuing. I lead a group, the Writhing Society, dedicated to writing with constraints, and the affect generated by, for example, a univocalic text is quite marked. Hard to go far with "u" before things get coarse, for instance (see Christian Bök's Eunoia, for instance). Oulipian texts are structural; the affect must come for the reader. I'm very interested in the question of how these texts are to be read; what their use-value is.